Get the latest USB Map Updates with the best price guaranteed! ToyotaMAPS Online offers you the latest USB and SD navigation map updates for your Toyota or Lexus. We have the best prices for the navigation updates that you can buy online. We offer ready-to-go USB updates for Toyota & Lexus with activation codes which will help you to save your time and money. No more visits to your dealer, no more pricey updates, no more waiting. Just find the update you need, buy it, download it and launch it right in your car. Here on toyotamaps.online you can easily find and purchase the update for your in-car navigation system. All updates come with an activation code and installation instructions. 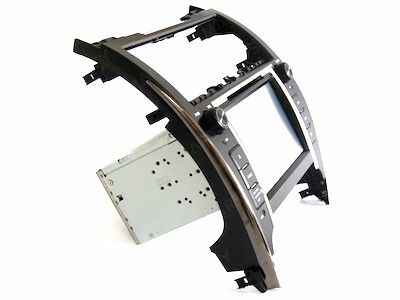 We sell: original and third party navigation units, USB and DVD media with maps, component parts and much more! Now you know where to get the map update for your Toyota or Lexus inexpensively! Get the latest Toyota or Lexus navigation system map update for the most current data, including new roads, businesses, addresses and much more. For all Toyota and Lexus car models built after 2012 year. Toyota was quoting me 269 dollars for the navigation update USB drive. More than that they refused to let me install it myself, and charged an additional 140 dollars for the install. It's a freaking robbery. Thanks to ToyotaMAPS Online, they saved my money as I paid only 100 dollars for the USB update I did myself without any problems. I had the dealer update the maps in my 2013 Prius. Cost about $200 with $50 coupon. It was a waste of money. The maps they installed were about 2 years out of date. I did’t want to use a $100 GPS hanging on my windshield so had to find a way around this. And I found this site. ToyotaMAPS did a great job - they gave me the latest maps and guided on how to install them. The maps I had in my 2015 Lexus IS250 were too outdated compared to the maps in my Garmin that were updated last year, so I decided to find where to update my in-car GPS system. A local dealer said that this will cost $210 not including installation or taxes. The total amount will be more than 300 dollars. My desire to use the expensive Toyota GPS slowly started to fade away until I found toyotamaps.online. They offered me a remote installation for only $120. And I did everything myself through my own USB flash drive.